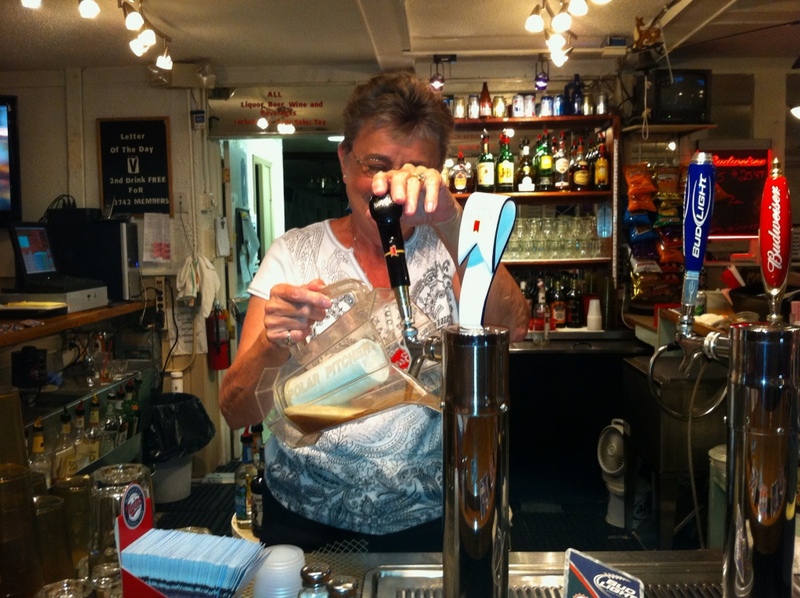 Here is a photo of Judy our friendly bartender at the Elks tapping our pitcher of Amberbach beer. Connie worked today and Neil did laundry. Dinner was sautéed pork tenderloin, mashed taters, fried okra for Connie and a couple of French rolls for Neil. Connie won $54 at bingo afterwards in two games, would have been more but she split one jackpot. Headed home and had One Minute Microwave Cake and ice cream for dessert while watching NCIS Los Angeles. Tomorrow is Costco and our remaining outside pre-departure stuff and Connie has a video meeting with her students in the evening.